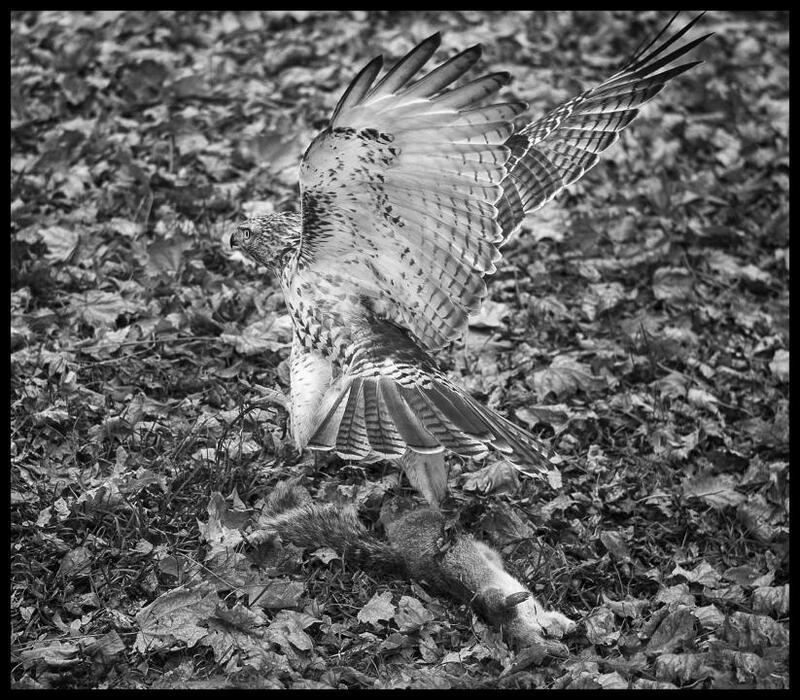 I was out walking with my Leica M Monochrom and just one lens, a 50 mm Summilux, and came on this hawk which had just killed a squirrel. The Hawk was so intent on it's prey that it didn't notice me until I got very close to it. The lens was set to f 2.4; shutter speed was 1/3000th; ISO 1000.